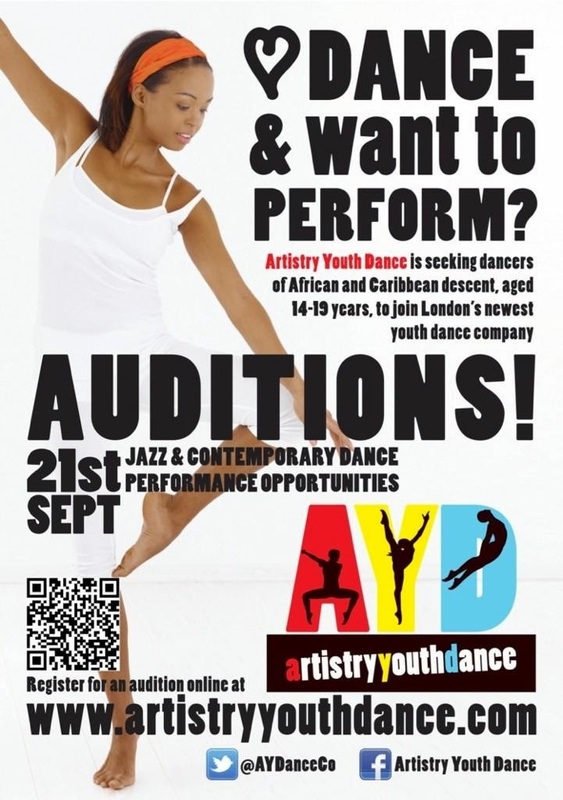 Artistry Youth Dance is seeking dancers of African and Caribbean descent, aged 14-19 years, to join London’s newest youth dance company. With a focus on Jazz and Contemporary dance, we aim to provide training and performance opportunities for our Company members, showcasing their talents and celebrating their artistry. Fantastic opportunity to develop your dance and performance skills. Make new friends. Develop as a performer.